I enjoy reviewing cookbooks and frugal books. The Frugal Foodie Cookbook offers both. Lara Starr is a baker, blogger, and a cook with a calculator. Lynette Shirk is a four-star Frugal Foodie who has cooked at Masa's, Postrio, Chez Panisse, and Williams-Sonoma. Together they have cooked up a recipe-filled guide to eating better than ever on less. 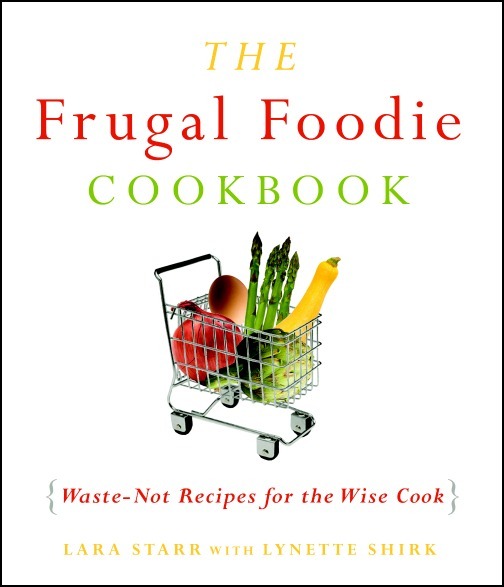 The Frugal Foodie Cookbook will show you how to creatively and cleverly use ingredients and leftovers to produce wonderful, inexpensive meals for any occasion. I greatly enjoyed reading this book as it gave some great cooking tips and was interesting to read. I’ve always been a bit of a foodie. I enjoy trying new things, and creating new recipes. Yet being a foodie can be a bit expensive, after all fresh and obscure are not cheap. 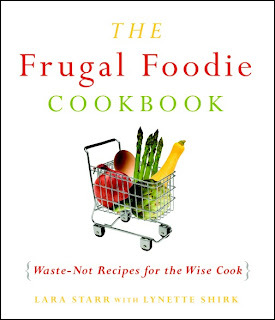 However, The Frugal Foodie Cookbook really does a great job creating fun, new food on just about any budget. The book gives helpful do-it-yourself tips, and provides delicious recipes that are not only inexpensive to make but surprising easy. Eating and cooking have never been more fun after this read.